A 33-year-old woman was seen by an obstetrician. The patient did not know if she had previously had chickenpox. Her varicella-zoster antibody titre signified non-immunity. She had not been vaccinated. Three months later, she became pregnant. She was told to avoid crowds of children and to seek vaccination after her delivery. At 13 weeks of gestation, the patient was visited by her mother, who complained of severe pain over one side of her scalp. When the patient moved her mother’s hair to see what was causing the pain, she felt her mother’s hair to be wet to her touch and saw multiple small blisters. An immediate visit to a GP confirmed a diagnosis of shingles in the patient’s mother. The patient was sent to her obstetrician within 18 hours of her potential exposure to shingles. Varicella-zoster immunoglobulin was not given. Three weeks later, the patient broke out in a chickenpox rash and was treated with aciclovir. She recovered completely. Sonographic examinations at 19 and 24 weeks of gestation were interpreted as showing bilateral clubfeet, with no other abnormality. At 32 weeks of gestation, ultrasonography showed intrauterine growth retardation. An amniocentesis performed at that time revealed varicella-zoster DNA. No cause for the findings on ultrasound, other than likely congenital varicella syndrome, was found. Because of worsening intrauterine growth retardation, the baby was delivered by Caesarean section at 36 weeks of gestation. The baby girl was born with bilateral clubfeet, small stomach, severe reflux, an absent gag reflex and profound oral aversion (i.e. refusal to feed). Over the subsequent three years, she had repeated episodes of aspiration pneumonia and required tube-feeding, a permanent tracheostomy and 24-hour oxygen therapy. She had multiple episodes of viral and bacterial pneumonia, requiring prolonged periods on a ventilator. The child learned to communicate by using sign language. One dose of varicella-containing vaccine is recommended to be given routinely at 18 months of age.2 The National Immunisation Program Schedule lists MMRV (measles, mumps, rubella and varicella) for routine administration at 18 months.5 Prior chickenpox infection is not a contraindication and such children can still receive MMRV.2,5 It prevents 70% to 90% of infections and 95% of severe disease. Receipt of 2 doses of varicella-containing vaccine provides increased protection and minimises the chance of breakthrough chickenpox in children less than 14 years of age.2 However, routine administration of a second dose of varicella-containing vaccine is not included on the National Immunisation Program Schedule. About 25% of people develop shingles during their lifetime, and more than two-thirds of cases occur in people over the age of 50 years. The increased susceptibility in older adults is due to a decline in specific cell-mediated immune responses to latent varicella-zoster virus with advancing age. The most common and debilitating complication of shingles is persistent chronic neuropathic pain, known as post-herpetic neuralgia, generally defined as pain that persists beyond 90-120 days from the onset of rash.4,6-8 It may occasionally last for years.6 Both the incidence and the duration of post-herpetic neuralgia are directly related to increasing age. A sinister newly-recognised complication of shingles is the increased risk of cardiovascular and cerebrovascular events.8-11 In particular, shingles is now an established risk factor for stroke, especially shortly after infection. A 2.4-fold increased ischaemic stroke rate (95% CI 2.17-2.59) and a 1.7-fold increased acute myocardial infarction rate (95% CI 1.47-1.92) have been observed in the first week after diagnosis of shingles, followed by a gradual resolution of elevated risk over 6-12 months.11 Preventive vaccination should be especially encouraged in patients at high risk of cardiovascular disease. Aggressive treatment early in the acute phase of shingles using antivirals and analgesics has been shown to reduce the likelihood of post-herpetic neuralgia. 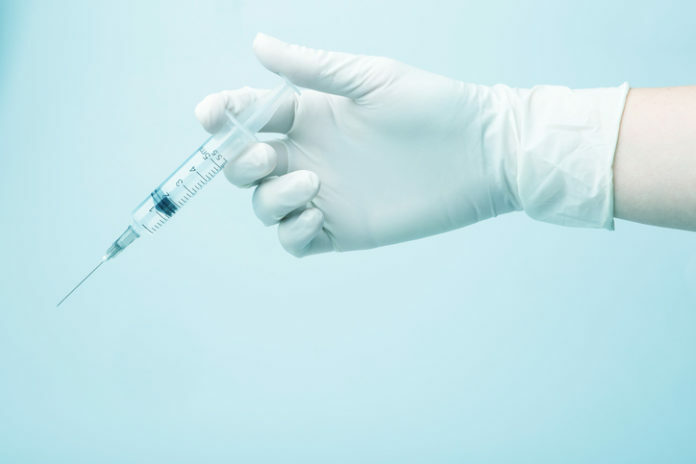 A single dose of live attenuated zoster vaccine (Zostavax) substantially reduces the risk for shingles (by about 50%) and post-herpetic neuralgia (by about two-thirds) in adults 60 years of age and older.2,4,6 Also, cases of shingles and post-herpetic neuralgia after vaccination appear to be much milder than in those people who develop shingles in the absence of vaccination. A new non-live, recombinant vaccine (Shingrix) indicated for prevention of shingles in adults aged 50 years and older, should be available in Australia soon. It possesses a number of advantages over Zostavax. Its efficacy is 90% or higher, compared with only about 50% with Zostavax, and its duration of protection should be longer. Being a non-live vaccine, it will also overcome the contraindication to Zostavax in individuals who are immunosuppressed or immunodeficient. If practicable, pregnant women should be tested for varicella-zoster antibodies before the immunoglobulin is given, following significant contact with a person with confirmed chickenpox or shingles.2,12,13 However, this should not delay its administration. Varicella-zoster immunoglobulin is ineffective, and should not be given, once clinical chickenpox or shingles infection is established. Chickenpox infection in pregnant women can lead to severe maternal illness (e.g. pneumonia, hepatitis and encephalitis) and is five times more likely to be fatal than in non-pregnant women and at least 20 times more likely to be fatal than in children.1,15,16 Death from chickenpox in pregnant women usually results from respiratory disease. It is estimated that 5% to 20% of pregnant women with chickenpox develop pneumonia, and the risk is higher if varicella-zoster is contracted during the third trimester of pregnancy.3,14 Pregnant women with varicella pneumonia should be given intravenous aciclovir therapy, which reduces mortality related to varicella pneumonia nearly 4-fold. Mortality is high; of the neonates born with congenital varicella syndrome, nearly 30% die within the first few months of life.18 Primary prevention of congenital varicella syndrome consists of effective vaccination of the mother before conception, while secondary prevention involves the use of varicella-zoster immunoglobulin in susceptible pregnant women after exposure. Pharmacists should be actively involved in promoting recommended immunisation schedules among the whole population, from infants to the elderly. PROFESSOR GREGORY PETERSON MPS is Deputy Dean (Research), Faculty of Health and Co- Director, Health Services Innovation Tasmania, School of Medicine, University of Tasmania and a community pharmacist. Cohen A, Moschopoulos P, Stiehm RE, et al. Congenital varicella syndrome: the evidence for secondary prevention with varicella-zoster immune globulin. CMAJ 2011;183(2):204-8. Gardella C, Brown ZA. Managing varicella zoster infection in pregnancy. Cleve Clin J Med 2007;74(4):290-6. Wehrhahn MC, Dwyer DE. Herpes zoster: epidemiology, clinical features, treatment and prevention. Aust Prescr 2012;35:143-7. Herpes zoster: antiviral therapy [Published November 2014]. In: eTG March 2016 edition. Melbourne: Therapeutic Guidelines Limited. Wollina U, Machetanz J. Herpes zoster and postherpetic neuralgia. Hautarzt 2016;67(8):653-665. Erskine N, Tran H, Levin L, et al. A systematic review and meta-analysis on herpes zoster and the risk of cardiac and cerebrovascular events. PLoS One 2017;12(7):e0181565. Marra F, Ruckenstein J, Richardson K. A meta-analysis of stroke risk following herpes zoster infection. BMC Infect Dis 2017;17(1):198. Minassian C, Thomas SL, Smeeth L, et al. Acute cardiovascular events after herpes zoster: a self-controlled case series analysis in vaccinated and unvaccinated older residents of the United States. PLoS Med 2015;12(12):e1001919. Royal College of Obstetricians and Gynaecologists. Chickenpox in pregnancy. Green-top Guideline No. 13. January 2015. Varicella (chicken pox) [Published November 2014]. In: eTG March 2016 edition. Melbourne: Therapeutic Guidelines Limited. Shrim A, Koren G, Yudin MH, et al. Management of varicella infection (chickenpox) in pregnanc J Obstet Gynaecol Can 2012;34(3):287-92. Chickenpox, pregnancy and the newborn: a follow-up. Drug Ther Bull 2005;43(12):94-5. Chickenpox, pregnancy and the newborn. Drug Ther Bull 2005;43(9):69-72. Department of Health, Government of South Australia. South Australian Perinatal Practice Guideline. Varicella-zoster (chickenpox) in pregnancy clinical guideline. South Australian Maternal & Neonatal Clinical Network, 2015, ISBN: 978-1-74243-751-4. Ahn KH, Park YJ, Hong SC, et al. Congenital varicella syndrome: A systematic review. J Obstet Gynaecol 2016;36(5):563-6.